As I’m sure you all have picked up on by now, I love trying new beauty products and am always on the hunt for the best ones out there. 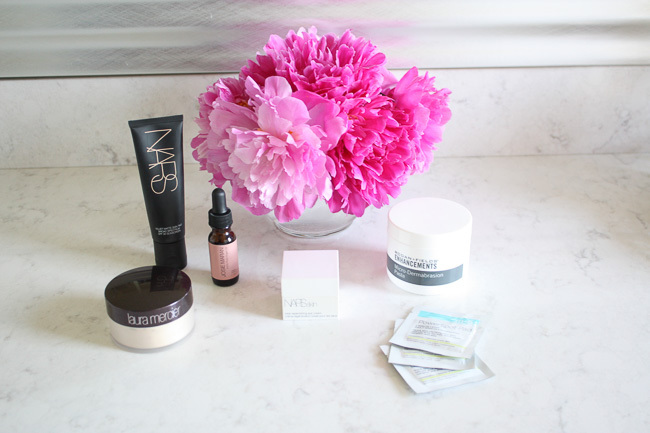 If you remember, I did a New and Noteworthy Beauty Products post a few months back with the intention of it being a one time post at the time. However, as I continue to try new products, I continue to find new ones that I love and want to share with you all! I figured it would be fun to start a new and noteworthy beauty series that highlights all of those products. I hope you guys enjoy! 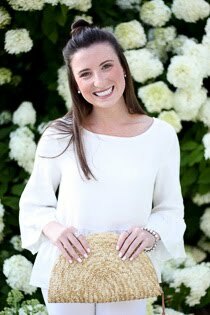 Feel free to leave feedback or other beauty recommendations in the comments section below - I'd love to hear from you guys! 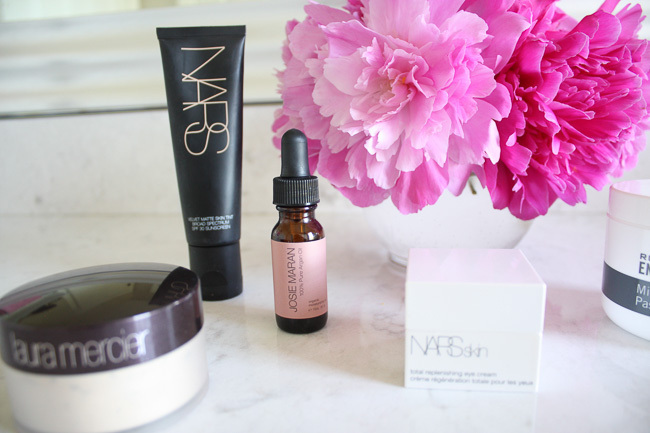 And without further adieu, here are some of my favorite new beauty products. 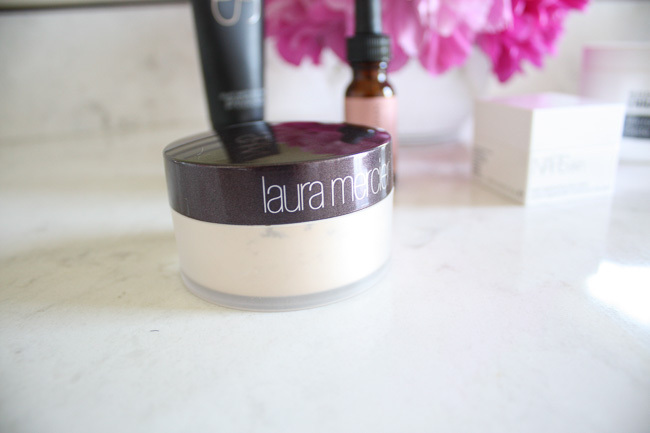 Laura Mercier Transluscent Powder // This Laura Mercier powder has been award winning for many years now and for good reason! It was created with the purpose of blurring fine lines and imperfections while also leaving a subtle matte finish. It is the perfect finishing powder - something that was missing from my makeup bag for quite some time - and I'm glad it's back. I definitely recommend this as the perfect finishing touch to your makeup routine. It's no reason it is a best-seller! NARS Velvet Matte Skin Tint // My skin has always tended to lean to the more oily end of the spectrum - nothing crazy, but definitely enough where I tend to notice a shine by the end of a long day. With that being said, I have been interested in trying a product that might help reduce that shine. 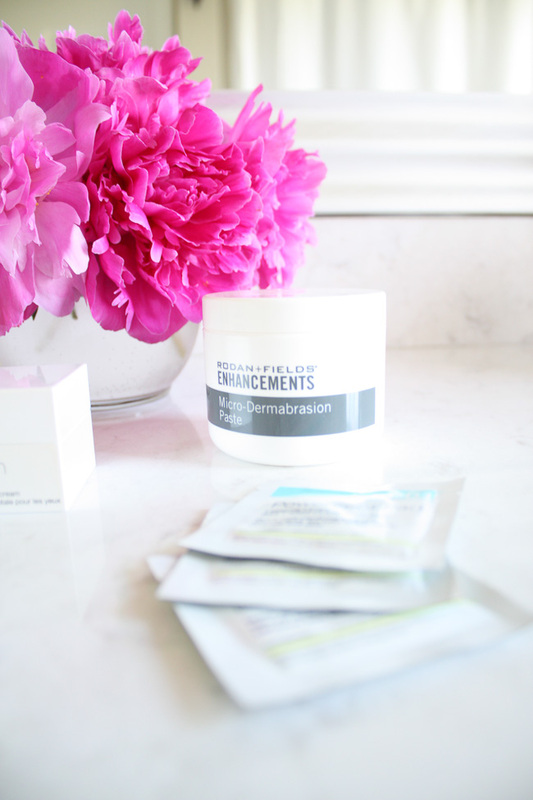 I have been a long time user or BareMinerals Complexion Rescue, and it is a product I love (and recommend!) but I felt like switching it up - cue the NARS Velvet Matte Skin Tint. 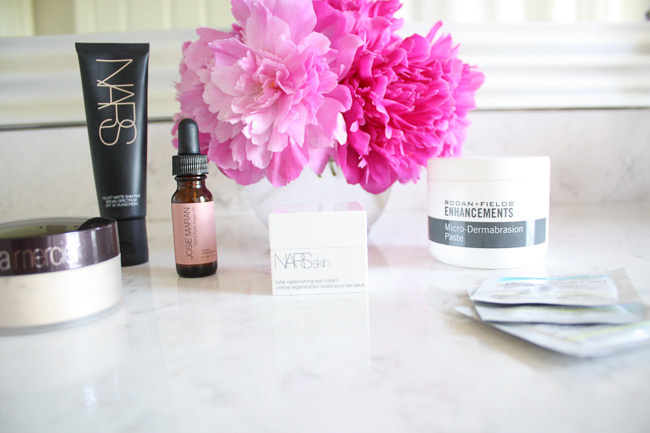 I knew I couldn't go wrong with a product line as well regarded as NARS and the soft matte effect was exactly what I was looking for. I have been using it for almost a month now, and I am so happy I decided to pick it up. It literally feels like silk when I apply it to my face and glides on so easily. I guess it's no surprise that it's called the 'velvet matte skin tint'.. Go give it a try for yourself to see what I'm talking about! Josie Maran 100% Argan Oil // Speaking of oily skin, the thought of using anything containing oil, let alone 100% oil, on my face has always has always turned me off. It just didn't make any sense to me to put oil on that type of skin type. However, I couldn't have been any more wrong! This is a total game changer. Since incorporating it into my nightly routine a couple months ago, I have seen nothing but noticeable (good) changes in my skin. I put a few drops into my palm before working it over my entire face prior to moisturizing and after cleansing my face. When I wake up in the morning my skin is so soft, surprisingly not oily at all, and remains dewy and glowing all day long. Who knew! It also can be used on pretty much everything else from hair to cuticles, so it's an all in one killer beauty product. 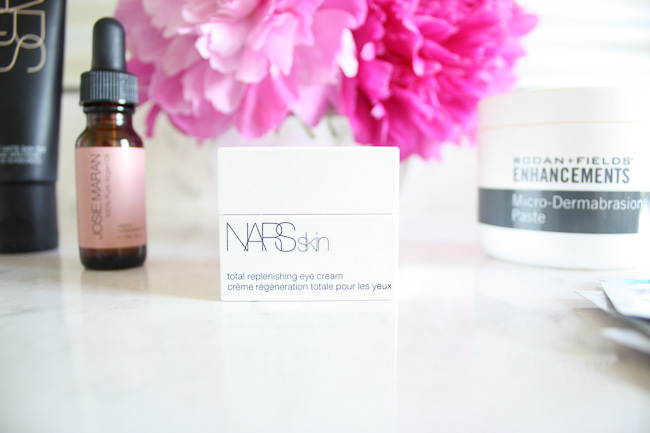 NARS Skin Total Replenishing Eye Cream // When NARS is making another appearance in this New and Noteworthy Beauty post, you know it's a good one! 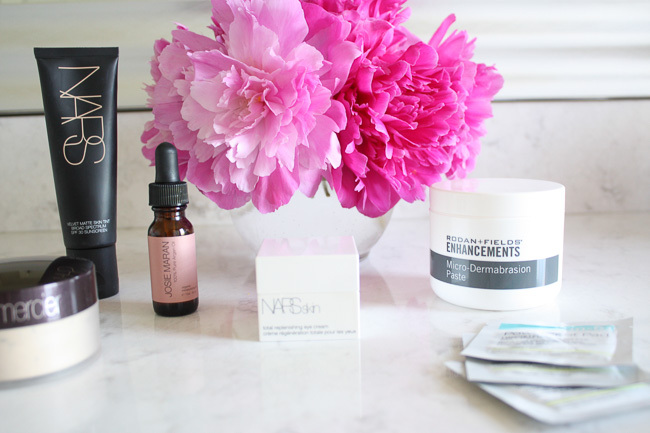 I have really made a change for the better recently as far as taking care of my skin, and part of that change has been making efforts to get into a better skincare routine and regimen. I know eye cream is such an important part in that, and this eye cream is perfect for my needs right now. 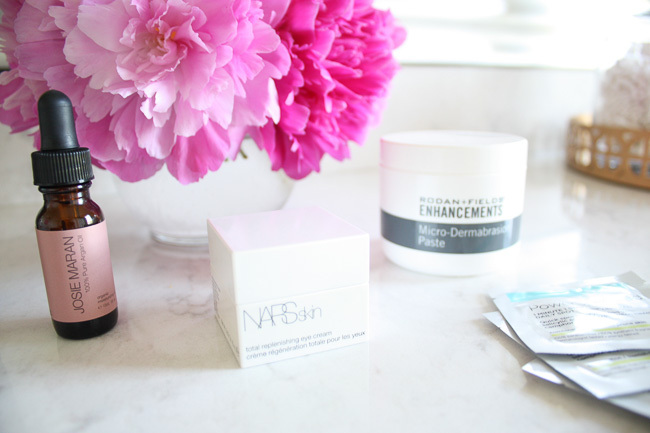 I've been using the NARS Total Replenishing eye cream one at night and then Origins 'A Perfect World' eye cream in the morning, and it has been working out very well for me! 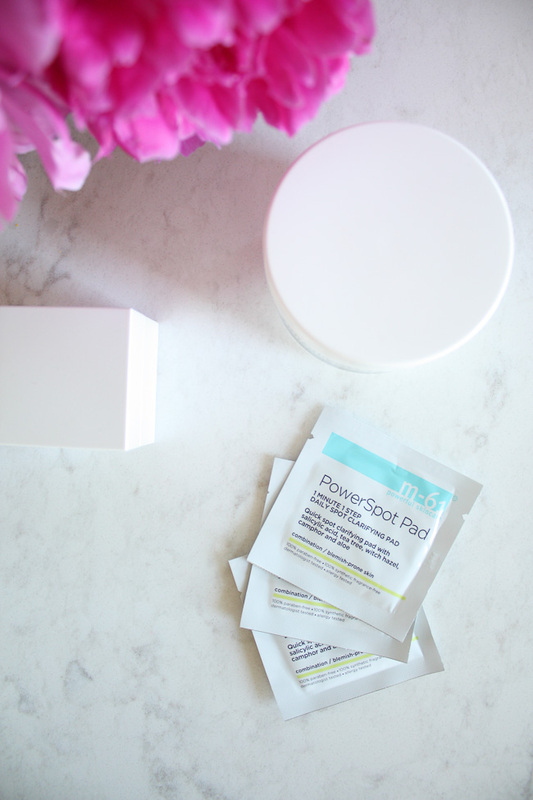 m-61 PowerSpot Pads // A HUGE thank you to Bluemercury for creating these. They are amazing. Although I thankfully don't have too many major skin concerns at this point in my life, the occasional blemish or two still seem to make an appearance more often than I would like them to. 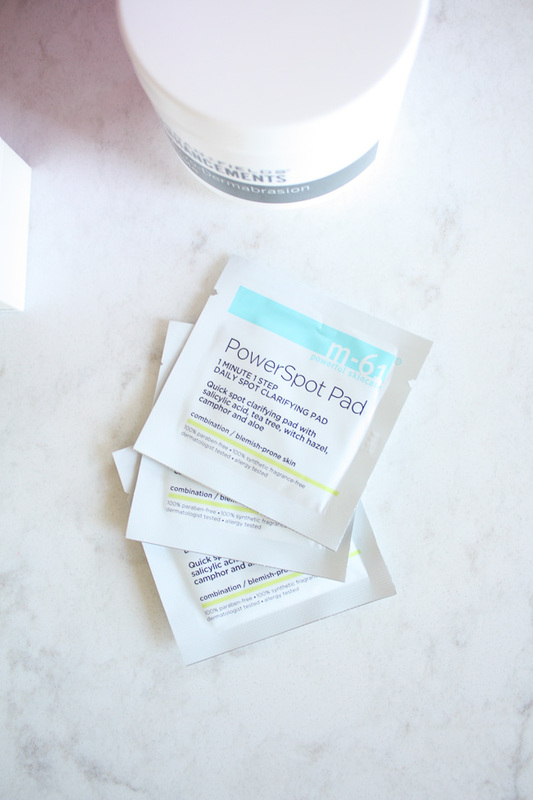 These PowerSpot pads are amazing when it comes to keep those blemishes to a minimum. 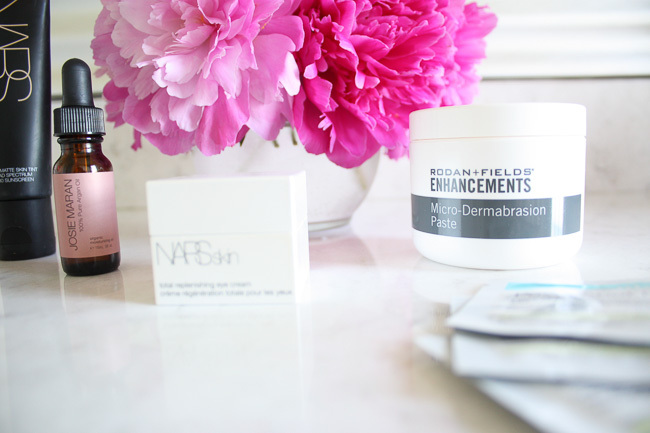 I use one just about every other night, or more if I feel necessary and my skin couldn't be happier. 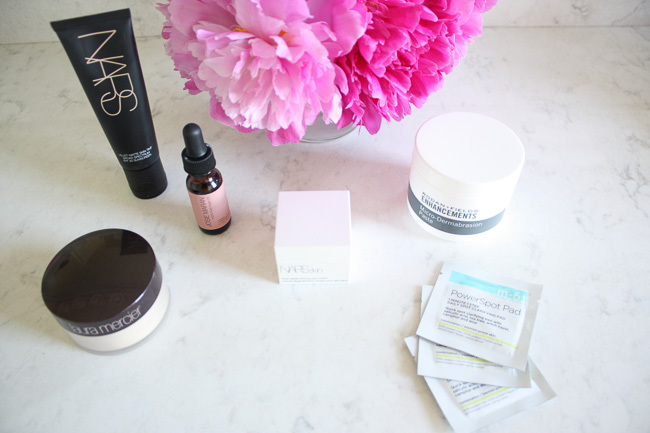 I recently discovered Bluemercury's m-61 skin care line and I am totally loving the results I've seen with all the products I have used so far. Stay tuned for more on that, as a m-61 blog post should be coming to Faith & Fancy soon! 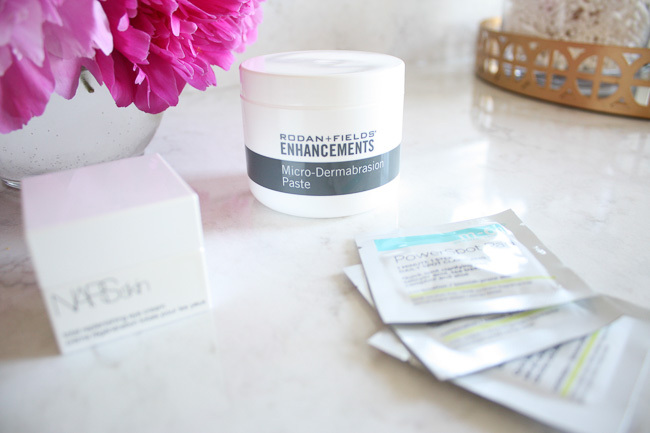 Rodan & Fields Micro-Dermabasion Paste // Hands down the best exfoliater I have ever used. I don't have to say much regarding this other than the fact that it smells amazing and leaves my skin glowing and feeling so soft. I try to use it once a week to keep my skin looking and feeling it's best, and I'll use it before any type of self-tanning. A little on the pricier side, but I promise it is so worth it!